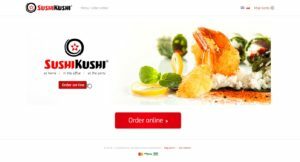 Why do all restaurants need a restaurant website? Research completed for the National Restaurant Association shows that 83% of Americans check information about a nearby restaurant before visiting it (source). 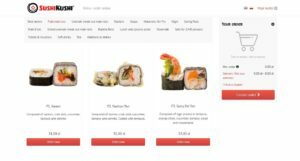 More than half of orders for delivery or take out are placed via a restaurant website. If you still do not advertise your services online, it’s about time to start! Why? Guess where customers look for information about your restaurant? On the internet! They want to find out what meals you have in your menu, your business hours, prices, and the design of your restaurant. The internet is the first place your customers refer to. Without a restaurant website, they will not be able to find you. Developing a website may be really easy. If you choose a solution such as UpMenu system, you will be able to create an effective restaurant website that will be self-sustaining. 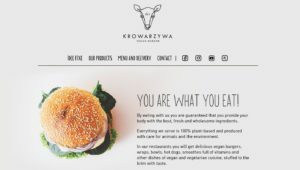 See how it works – read the following article: Professional restaurant website for your business. As we have already mentioned, customers look for information about your restaurant! Share the information online and make sure your restaurant is found. It is also important for a website to offer the possibility of making a table reservation or ordering food for delivery or take out. Nowadays, we want to handle everything online. When a potential customer finds your restaurant online, make sure you stay in touch! Let them make an order or reserve a table immediately. A good restaurant website shows what the customers can expect when they visit you or order food for delivery. Add an interesting photo of the interior and one of your team. Include high-quality and delicious looking photos of meals with the menu. Show people that you are an ideal place for dinner or a friendly gathering! The competition is huge in the restaurant industry! Restaurants are opened but closed down soon after. What makes you different from the competition? Show your exceptional meals and give customers the possibility of ordering food online or reserving tables through your website. Respond to customer needs and offer exactly what they are looking for. Let’s be honest – a restaurant website today is a must! If people cannot find information about your restaurant on the internet, they may even be suspicious. If you don’t have the budget for huge marketing campaigns, you should focus on building a brand on the internet using the tools available. Social media may not be enough. It is important for you to have a website for your restaurant. This will be your property so you can decide how to advertise it, what type of information to post on it, and what budget to spend on its development. At the same time, new customers will find you online. This is very important today. Additionally, if you launch an online food ordering system and online booking system, your restaurant website will be self-sufficient! Taking into account market competition and the degree to which the internet has changed people’s daily habits, a restaurant website turns out to be one of the factors that will precondition success in this business. Read more about it in our article Professional restaurant website for your business. 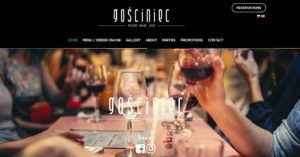 Would you like to develop a website for your restaurant? Contact us and we will be more than happy to help!